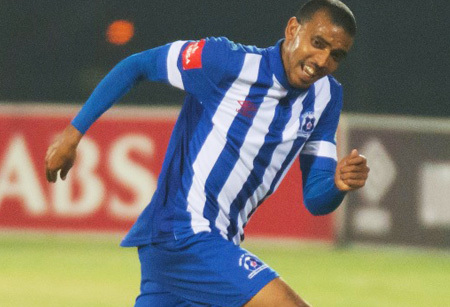 “Algeria will be tough but we are ready for the fight,” says South African U23 and Maritzburg United midfielder Deolin Mekoa ahead of Wednesday’s crunch encounter. Mekoa and his team-mates, including Team of Choice defender Kwanda Mngonyama, is well aware of the huge task that is facing them, as they will take on Algeria in the semi-final of the CAF U23 Africa Cup of Nations tournament. The match will be played at Stade Leopold Senghor in Dakar, Senegal on Wednesday, 9 December 2015 with a 20h30 kickoff (18h30 local time). En route to this tournament, South Africa played three friendly matches against North African opposition. First they defeated Egypt 2-1 in Durban in June, then followed up with a 4-0 win over Tunisia in September away in Tunis. The home side won the second match 2-1 a few days later. South Africa continued with their good run over North Africa when they beat Tunisia 1-0 again in Senegal in the group stages (Friday, 4 December 2015) in M’bour. “The clash against Algeria gives us a chance to play another North African country – we played Tunisia and Egypt in friendlies before the tournament and we did well. I think we carry a slight advantage over them, but we still have to work hard for the victory. We know it won’t come easy because the North Africans always fight until the final whistle,” said SA U23 midfielder Deolin Mekoa. Algeria finished top of Group B after two draws and one win. South Africa advanced to the semifinals with two wins and a defeat. They finished second in Group A. “It’s going to be a good match, but I am confident we will do well and go to the final. We will go out guns blazing in this match as we did against Tunisia. I have a lot of confidence in my team because of how we played against Tunisia, and a lot of credit must go to the defence who did very well,” added Mekoa. Qualifying for the Olympics means a lot to the players. “It will be great to qualify for Rio because it will open doors for many players to perhaps secure bigger contracts as we will be playing on the big stage. So yes, it’s a very big deal to qualify for the Olympics, and we are all aware of that as players. It is perhaps the most important 90 minutes of our lives and careers. We have to go out there, fight for the flag and for ourselves, and I believe we can do it,” said Mekoa. Hosts Senegal and Nigeria meet in the other semifinal match at 17h00 South African time (15h00 local time). It will also take place on Wednesday, 9 December at Stade Leopold Senghor. The finals will be played on Saturday, 12 December. The top three finishers will qualify for the 2016 Rio Olympic Games.